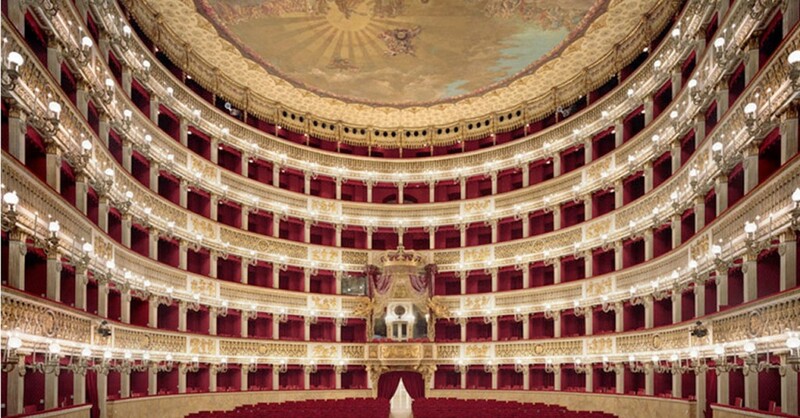 The San Carlo Theatre is one of the most gorgeous and glorious theatres in the world. It stands in the center of Naples next to the Royal Palace and Plebiscito square and has always attracted the lovers of classical music. It was founded in 1737, before the Scala theatre in Milan and the Fenice in Venice, according to the will of king Charles of Borbone as a sign of his power and was dedicated to San Carlo Borromeo, hence its name. The theatre we see today is not the original one which was destroyed by a fire in less than an hour in 1816 and reconstructed soon after. It has hosted the works of the most famous composers of the past many of which presented for the first time and also the best singers not to forget the castrati singers in the 17th and 18th century. They were male singers emasculated before puberty to keep their voices shrill. Composers as Bellini or Verdi, singers as Caruso, Callas, Pavarotti, conductors as Toscanini, Bernstein, Von Karajan, dancers as Rudolf Nureyev, Carla Fracci, Margot Fonteyn. But how to name everybody? In 1817 the great writer Stendhal wrote about the San Carlo theatre “The first impression is that you have been transported to the palace of an oriental emperor. Your eyes are dazzled your soul enraptured…” But it’s not only for the red velvet of the seats or the gold of the decorations that our eyes are dazzled and our souls enraptured, it’s because of the art we can breathe! The San Carlo Theatre is in the city centre: it is very close to Piazza Trieste and Trento, Piazza del Plebiscito and Royal Palace. The Theater is part of the works wanted by Charles of Bourbon. They were all works aimed at making the city a great European capital. The San Carlo Theatre is an attraction not only to music lovers but also architecture ones, being a very meaningful structure both outside and inside. For this reason, the organization gives the opportunity to join guided tours when the Theatre is not hosting shows and concerts, during the day. In these moments you can walk in all areas of the theatre: from the stalls to the upper floors, even in the area dedicated to the royal family. The tours are scheduled 6 times during the day. In the morning, at 10.30 and at 11.30. During the afternoon, at 12.30, 14.30, 15.30 and at 16.30. For the people who visit Naples in February, there is also the chance to see shows and concerts. As usually, there are some events that are suitable for everyone. Plus, a special evening to the Theatre is the perfect occasion to see one of the most important theatre of Europe and surely the most important of the city. From 6 to 11, on 14 and 15 February, it will be on stage “My Fair Lady”, the famous adaptation of the work of G.B. Shaw “Pygmalion”. This adaptation is by Lerner &Loewe’s and it is strongly inspired by the Gabriel Pascal film “Pygmalion”. On the 16th and 17th of February, it will be on stage “Eternapoli”, a show for an actor, orchestra and choir. “Eternapoli” is the chance to listen to one of the most loved actor of Neapolitans, Toni Servillo. Donato Renzetti will be directing the music. If you visit Naples at the end of February, don’t miss the opportunity to listen something from the symphonic schedule. On the evening of the 23rd, the program includes a concert of EvegenijKisin, a talented pianist who will perform with the Kopelman Quartet.